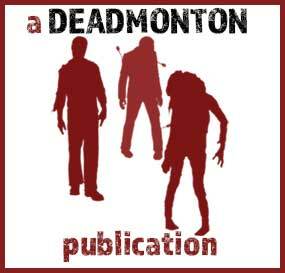 I have received more than a few questions as to what the future of Deadmonton holds: I realize it is about a zombie apocalypse in Edmonton, but when does it all start? Interactive fiction? Great! What is it? Where is it? Fort Deadmonton? Why? And so forth. Obviously, a post of this nature is long overdue, and I apologize for leaving everyone in the dark. After all, the city isn't dead. Yet. So, without further delay, here is what the future of Deadmonotn holds. During the writing process of the Deadmonton novel (currently in the second draft stage,) there were many side stories that could not be included, either due to the side-step slowing down the main story line too much, or it just didn't work within the story's timeframe. These stories were not all tossed away like unwanted viscera. No, the good parts were kept to be turned into short stories that stand on their own. Some will be added to short-story collections (more on that later) while others will appear on the Deadmonotn website as interactive fiction. Great! So what is interactive fiction? As I put on the Deadmonton FAQ page, the stories that find a home on Deadmonton.com will have more than just words. These tales will be enhanced with images, video, sounds, maps, and so forth so that they can pull you further in. However, to do this properly I am incorporating a whole new system for telling online stories (at least, new to me). This system is hidden in test folders and all is going well, but it is a steep learning curve on my end, so look for interactive fiction in November 2017. Short story collections and novels from Deadmonton publications. 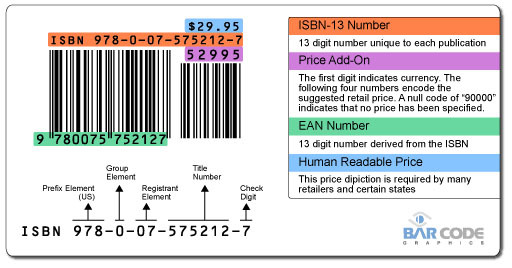 I received the first block of ISBN numbers (International Standard Book Number) for future Deadmonton publications. The first collection of shorts stories will feature tales of survival based on the zombie apocalypse of Edmonton. Some of the interactive fiction from Deadmonton.com will also find a home in the collection, but with alternate, surprise endings. Many of the stories are in the final format, with a few in the editing stage. Now that I have official ISBN numbers to publish with, a writing contest, open to authors in Edmonton or authors with intimate knowledge of the city, will be held to get a different take on what is going on in the Deadmonton realm. Wach the blog or Facebook page for upcoming details on the first Deadmonton fiction writing contest. 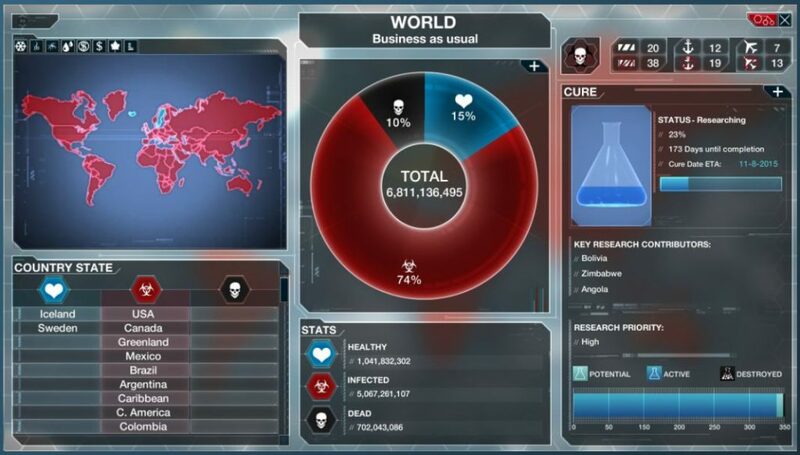 For a different twist on the zombie apocalypse of Edmonton, Alberta, I am also working on an add-on for Plague Inc Evolved, where instead of trying to stop the YEGz virus, you are instead the actual virus. Your mission, to wipe out the entire population of the world, not 99%, but 100%. You need to carefully cultivate your virus, evolving it into an apocalypse that humanity can do nothing to stop. This will be available on PC as well as the mobile app. Look for this mid-2018, with beta test version available early 2018. Which takes me to the current Fort Deadmonton project. It is a side-project that I'm having a lot of fun with, taking a great Edmonton historical park (Fort Edmonton Park) and looking at it from the angle of how it will help a survivor during a zombie apocalypse. It is also something to "give something new" to you as I work on writing, developing the website, the PC game and phone app add-ons, and so forth. However, it isn't something being done half-baked, it is a project I am taking a lot of care with out of respect for the park itself--my family and I spend a lot of time at Fort Edmonton Park and I couldn't imagine the city of Edmonton without it. I hope this view is shared. Pease, check back now and then as things ramp up. Stay tuned to this blog, our Facebook page, Twitter, or sign up for the newsletter at the bottom of this page to keep informed of new additions as they show up. I welcome all feedback, criticism, and suggestions, so feel free to post your remarks or questions below. Awesome! I look forward to the Plague addon! This site is looking really good.